What Is The Average Retirement Savings By Age? What Is The Average Retirement Savings By Age? Are You Falling Behind? By Peter Anderson 9 Comments - The content of this website often contains affiliate links and I may be compensated if you buy through those links (at no cost to you!). Learn more about how we make money. Last edited November 2, 2018 . 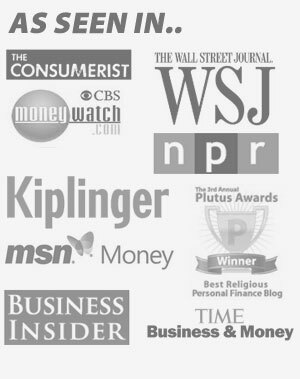 When it comes to retirement savings you may have started your career not thinking about saving and investing very much. For many people saving for retirement only starts to become a reality later on when they start seriously thinking about their future and what they'll do in 30-40 years when they retire. When they realize just how much money they'll need to retire, saving and investing becomes a priority. For me in my twenties I wasn't making a ton of money, and I also had the attitude that a lot of new grads have. I wanted to live and enjoy life, pay off my student loans and worry about saving for the future later on when I was making a better income. Unfortunately far too many people never move on to that next step where they start saving as much as they can for retirement, they just continue in the cycle of paying off debt and living for today. Tomorrow can worry about itself. So with so many people not saving for the future, what is the average retirement savings for people in the United States? How Much Retirement Savings Should You Have? A recent survey found that 48% or workers of all ages had less than $10,000 in savings for retirement. That's a scary thought, that almost half of workers as a whole haven't taken their future financial stability seriously and started saving more for retirement. If you ask how many workers had less than $25,000 in retirement savings, 60% of workers answered in the affirmative. 70% had less than $50,000 and 80% less than $100,000. Even of those 55+, 60% of them had less than $100,000 saved. With numbers like those it's not hard to guess that the average retirement savings for different age groups aren't doing that well, even for those who are getting pretty close to retirement. Although workers ages 55+ are more likely than younger workers to say they (and/or their spouse) are currently saving for retirement, 33 percent of workers age 55 and older are not currently saving for that purpose. So younger workers especially are less likely to have saved for retirement versus the same age group 10 years ago. As a group workers today are less likely to have saved for retirement. But that's not the whole story. Just how much they've saved on average is pretty dismal. Workers under 35: Have barely $6,000 in savings. Workers aged 35-44: Have roughly $22,500. Workers ages 45-54: Have saved just under $44,000. Workers aged 55-64: Have approximately $65,000 in savings. 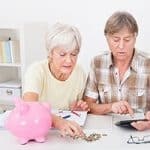 Aged 65 and over: Have saved about $56,000. Those numbers are pretty depressing when you really look at them. Those under 35 have essentially nothing – on average only $6,000. The other age groups all have anywhere from $22,500-56,000 saved on average. That's nowhere near enough to fund the retirement that most people expect to have. When thinking about how much money you should be saving for retirement, there are a few things you should consider. At what age will you retire? : What age do you plan on retiring? In order to retire earlier than normal, you'll need to be saving more than normal. How much will you need in retirement? : How much of your pre-retirement income will you need in retirement? Most advisors give a range of somewhere between 65-80% of your pre-retirement income should be sufficient to get by on. What other sources of income will you have in retirement? Social Security? Pension? Part time job? Rental property? What is your life expectancy? How long do you think you'll live in retirement? Factor in the inflation rate: When figuring out how much you'll need to retire, don't forget to figure in the inflation rate. So if you need 70% of your pre-retirement income, you'll need to not only have 70% of that income – but 70% of it after figuring in inflation. Right now that's a 3% or so annual inflation rate, but who knows where it will be in the future! What time horizon do you have? How old are you now and how much time do you have until retirement? The older you are when you start, the more you'll need to contribute to reach your goals. If you're older when you start saving for retirement you may need to start thinking about maxing out your contributions every year in order to save as much as you can. Either way, it's time to get started if you haven't already! Once you've figured out just how much you'll need for retirement, it's time to bump your retirement savings into high gear. So when all is said and done, how do you stack up against the average retirement savings for your age group? Fifty percent of baby boomers have $100,000 or less saved for retirement. Here are some ways to make the retirement savings stretch. Money changes over time. What might be the ideal retirement plan now might now be enough later on. That’s why we need to plan well. Thanks for the calculator by the way. It’s awesome! Wondering if there is a way to increase your contributions each year on this calculator? Another thing to consider if you are young is that your salary should increase faster than inflation. Hopefully you are not earning an entry-level salary for the rest of your life. Good news: you’ll have more money to save, especially if you don’t succumb to ‘lifestyle bloat’ with every pay raise. This is a great calculator. Especially for those who are far from retiring, the idea of saving for it can seem daunting. Putting real-life numbers on it is great for a little perspective. Thanks! Great post to get a gauge on how (little) folks are saving these days. For me, I’m using the 4% safe withdrawal rate assumption (in retirement you can withdraw 4% of your savings every year), so to figure out what my family personally needs to save we take our annual expenses and multiply by 25. Since we”ll likely have lower expenses in retirement (kid out of the house, house is paid off), our retirement annual expenses will likely be lower so we can probably multiply by a lower number. I had an idea that most were insufficiently covered for pensions and retirement but I did not realize the statistics were quite so dire. Unfortunately too many think life is for the young and by the time they become of an age to think of retirement, their bodies are already making them capable of working hard enough to make up the difference. Previous Post: Should I Do A Debt Consolidation Loan? Important Things To Consider Before You Do.